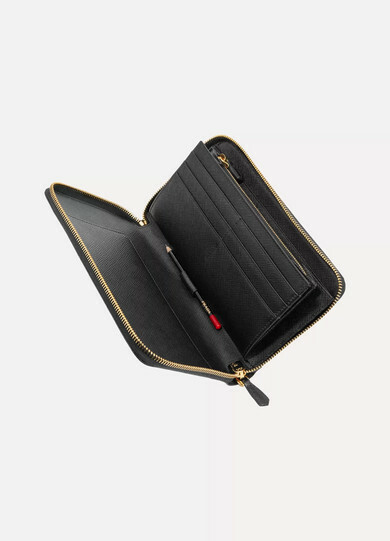 Prada's wallet is the perfect travel companion - it's generously proportioned to fit your cards, bills and coins and features a handy pencil and pouch for paper. 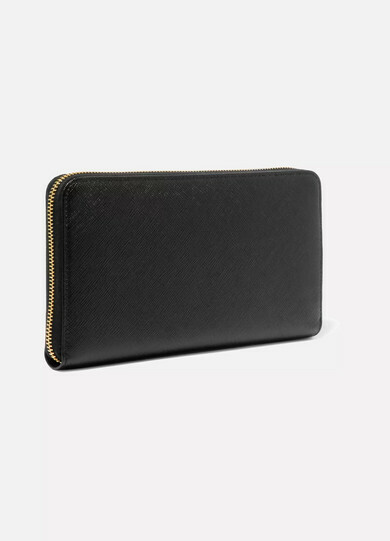 This practical style is made from durable Saffiano textured-leather and is punctuated with polished gold hardware depicting the label's original 1913 logo. 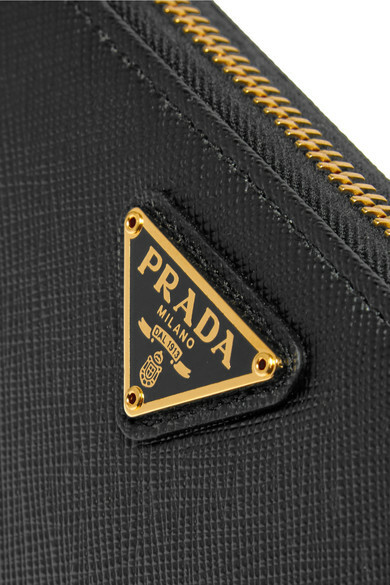 Shown here with: Prada Top.